Beverly Hills, CA general and cosmetic dentists at Shervin M. Louie DDS, deliver excellent care to our informed patients. When you are faced with dental problems, contact Shervin. 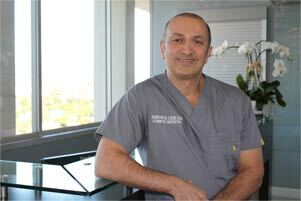 Louie, a Beverly Hills, CA area dentist who listens and executes your needs. A experienced dentist who knows Beverly Hills, and a friendly dentist who counsels you on the best ways to maintain and improve your health. Shervin Louie, greater Beverly Hills dentist understands that you have many choices when choosing a Dentist in Beverly Hills, CA, so we have made requesting an appointment a simple process via our Web site, on the left hand side. If, for any reason you cannot keep a scheduled appointment, or will be delayed, please call us as soon as possible. For a reliable family dentist in Beverly Hills and the Los Angeles area, you have no need to turn anywhere else. Call 323-461-9353 to make an appointment today!